You know what to do in Denver this summer. But you live in one of the most beautiful states in the country, and damn it all, it’s time you saw it! 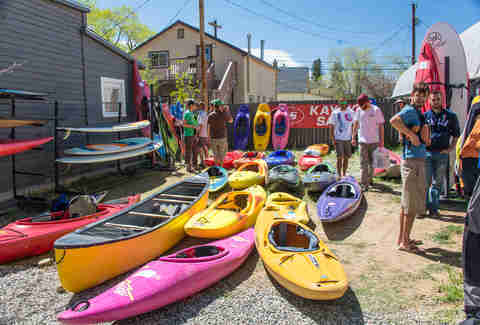 Colorado’s small towns are packed with plenty of opportunity for big adventure, whether that means spending a few days relaxing in a sleepy town or getting a Rocky Mountain adrenaline rush. Gas up, pack a bag, and hit the road to see for yourself what makes these small towns truly remarkable. Why it’s so great: A sleepy mountain town this is not. 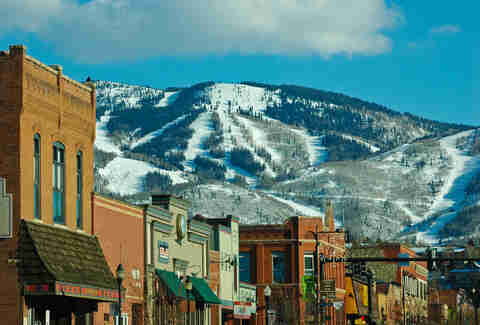 With a vibrant dining scene, tons of summer festivals and events including a free concert series and weekly farmers market, and access to basically any outdoor activity you can think of, Steamboat’s more like a mini, high-altitude Denver that’s totally worth the 3 hour trek from the Mile High. Whether you decide to take a plunge down the Howler alpine slide, go tubing down the Yampa, or head out for a hike on one of the 80+ trails in the area, adventure is never hard to find. 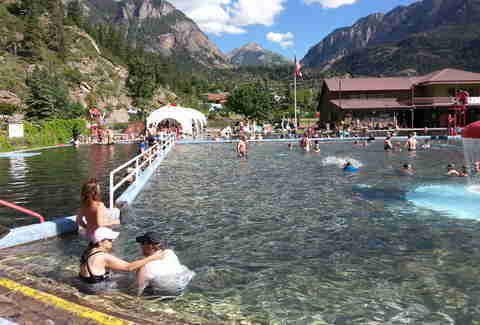 Plus afterwards, you can soak your achy muscles at one of Colorado’s most beautiful hot springs, Strawberry Park. 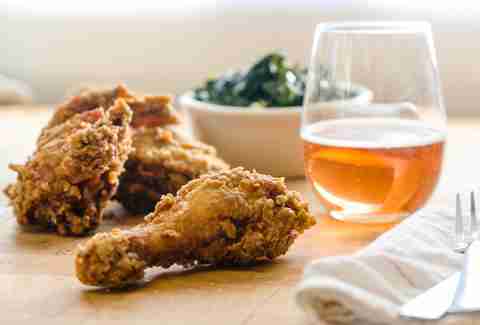 Eat this: Fried chicken at Low Country Kitchen, brunch bloodies and Benedicts at Creekside Cafe, hearty lunch salads and sandwiches at Freshies, and small plates at Laundry. 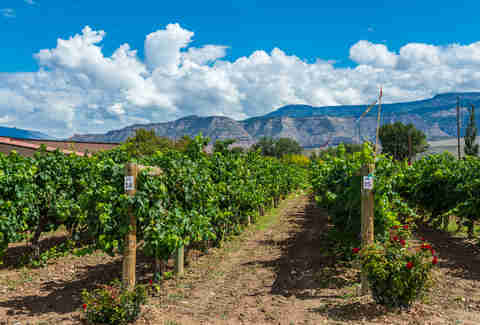 Why it’s so great: This Western Slope town that’s about 3 hours and 45 minutes from Denver is famous for its peaches, but the real star is its more than 25 wineries, many of which offer guided tours. Or, just rent a bike and spend the day exploring this farm-rich land on the Fruit & Wine Byway before heading back to one of the town’s bed and breakfasts. Of course there are plenty of chances to hike, mountain bike, and raft too, but really this town’s ideal for those times when you just want to slow down and disconnect for the weekend. Eat this: Pastries from Slice O’ Life, brews and a smoked pulled pork sandwich at Palisade Brewing Company, and a diverse dinner offering dishes from curry to burgers at Inari’s. 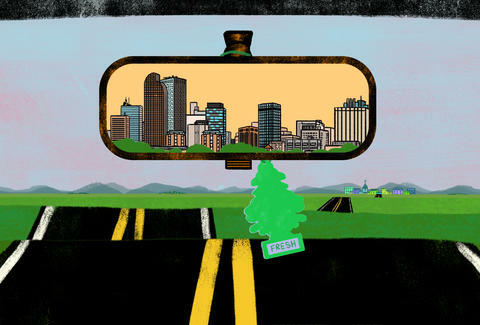 Why it’s so great: Are you looking for those postcard worthy Colorado views? Look no further than this picturesque town that’s a 5 hour 30 minute drive from Denver. Once you’re there, take the time to drive Red Mountain Pass. It’s prone to avalanches in the winter, but during the summer, this drive’s steep grade and non-stop curves are worth the journey from Denver in and of itself. The town’s got plenty to offer too, including a hot springs pool where you can soak your worries away, music, movies and more at the Wright Opera House, and numerous nearby ghost towns where you can really get the trip-back-in-time experience. Why it’s so great: If hiking, biking, camping, and fishing make you holler a big ol’ “HECK YEAH!” then this is your spot. Sure, you can do that basically anywhere in Western Colorado, but this area 3 hours and 45 minutes from the city has got a seemingly never-ending options for outdoor adventure. 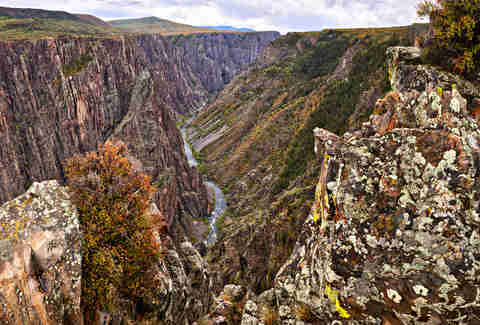 And if you’re up for taking an hour-ish long detour, one of the state’s most underrated National Parks, Black Canyon of the Gunnison, is ripe for exploration. Back in the towns of Gunnison and Crested Butte, you can opt for a historic walking tour, or get a whole new view on the area from a hot air balloon. Eat this: Bagel sandwiches at Izzys, tamales by the dozen at Teocalli Tamale (both in Crested Butte), and Tibetan noodles at the Sherpa Cafe in Gunnison. Why it’s so great: So you want to go whitewater rafting? You’ve come to the right place. In fact, Buena Vista is one of the best places in the world to go for some thrill-seeking rapids, and it’s just a little more than 2 hours away from Denver. From beginner and family-friendly floats to more challenging sections, the Arkansas River here’s got something for everyone. And when you’re ready to get off the river and head into town, you can relax at Mount Princeton Hot Springs, or just spend some time perusing the shops downtown. Why it’s so great: Surrounded by 14ers (that’s mountains over 14,000 feet above sea level for you newbies), this town 2 hours southwest of Denver has -- yup -- a lot of chances for you to hike, bike, climb, camp, and explore the outdoors. If you’re looking for a little extra dose of excitement, visit Captain Zipline, an aerial adventure park where you’ll navigate ziplines 100-200 feet above a canyon, scale cliffs on their via ferrata course as well as hit aerial courses with catwalks, swinging bridges, cargo nets, tight wires, rope and cable swings. Back in town, take the time to visit the many art galleries and then catch some music -- there’s usually a concert to be found in town whether at a park or one of the local coffee shops or taverns. Eat this: Homemade German Italian sausage with anything for breakfast at the Patio Pancake Palace, pizza and craft beer at Amicas, small plates at the Fritz, and cocktails at Wood’s High Mountain Distillery. 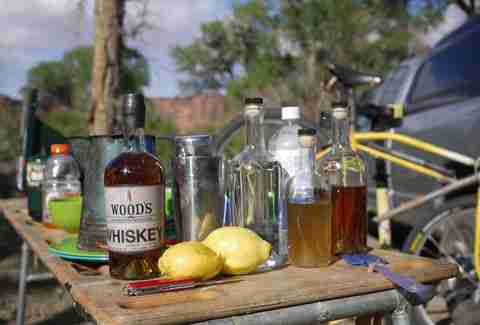 Why it’s so great: You’ll get a glimpse into the old West during a visit to this historic mining town in the Rio Grande National Forest that lies 4 hours and 30 minutes from Denver. At 125 years old, this spot’s got a lot of stories to tell. Take your time though, there’s no need to rush through a bevy of activities here. Start by just sitting back and enjoying the scenery. 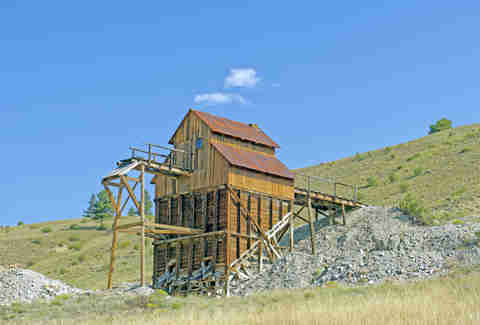 Then spend some time meandering through the Underground Mining Museum, go treasure hunting at the Rare Things Gallery, or, if you really need to find adventure, take the 7 mile hike to the Wheeler Geological Area where you’ll be rewarded with views of striking volcanic formations. Eat this: Biscuits and gravy at Arp’s, anything smothered in green chile at Kip’s Grill, and ribs and maybe even a late night concert at the Tommyknocker Tavern. Why it’s so great: It’s a 6 hour drive from Denver near the New Mexico border so this is more fit for a long weekend, but the entire way you’ll be taking in amazing views so remember to enjoy the journey too when you head here. Before you hit the road, book a trip on the Durango Silverton Narrow Gauge Railroad. It runs daily in the summer out of its original 1882 depot. The town is also a great base for exploring nearby sites including Mesa Verde National Park, Chaco Canyon, and, Chimney Rock National Monument. Eat this: Grab and go crepes from Michael’s Corner, craft beer and a Cajun boil from Steamworks Brewery, and fried chicken with a side of bacon mac and cheese from Fifth Street Eatery. Why it’s so great: Breck may be a winter ski destination, but it doesn’t slow down at all during the summer. 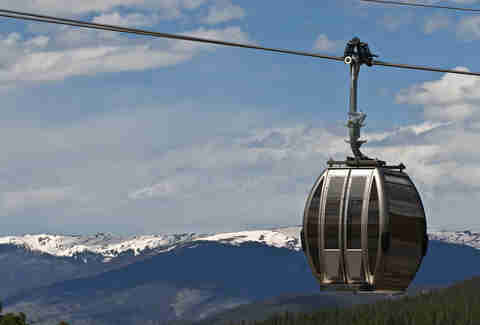 You can take the free gondola ride and hit up one of the many on-mountain activities like riding on the GoldRunner Alpine Coaster or getting an aerial view with the Expedition Zipline Tour. And then there’s the hiking, biking, fishing, and golfing opportunities. Plus the town’s only about an hour and a half away so you won’t have to spend too much time in the car before your getaway begins. Eat this: Breakfast including fresh baked cinnamon rolls and croissant egg sandwich at Butterhorn Bakery in nearby Frisco, giant calzones at Downstairs at Eric’s, and dinner dishes featuring Colorado meat and produce at Relish. Molly Martin is a freelance writer in Denver, Colorado who loves finding excuses to explore Colorado. Follow her adventures @mollydbu on Twitter and Instagram.